The northernmost region of Continental Europe, Lapland, is a vast wilderness area where the great outdoors invite people to hike, ski, fish, ride a mountainbike or simply just admire the scenery. Located north of the Arctic Circle, Lapland is also the home of Sami people and their reindeer. Since Lapland is quite far away from large centers of civilization and distances in the region can be long, it is important to plan ahead and prepare for a trip to the region. The best way to explore the region is to drive, and it shows during the summer when the roads of Lapland see the number of motorhomes, cars and motorbikes considerably increase. Some road travelers have a mission to reach Europe’s northernmost place Nordkapp (North Cape), whereas others explore fells, fjords, hiking paths, Sami culture and small towns of Lapland. There is something for everyone, except for those who require big-city sights. Now, you can plan your Nordic journey with a Klaava Travel Guide titled Lapland – North of the Arctic Circle in Scandinavia. The book features the sights, destinations, activities, events, wildlife, and everything needed for a successful trip to the north. Special sections for road travelers highlight the best routes and tips for driving in varying conditions. Information on the book’s availability and prices can be viewed at this page. Below a few sample pages from the book. 2017-02-23 by Klaava in Scandinavia. Tags Arctic, Europe, guidebook, Lapland, Laponia, Nordic. There are many fabulous destinations in France. Probably the most sunny and glamorous is the French Riviera in Provence. Practically everyone has some kind of image of Cannes, Monaco or Nice in their mind, but the region is much more than beaches, bikinis or casinos. The Riviera is actually very much about mountains, medieval villages, sea, art, food, cafes and marvelous scenery. 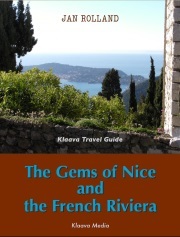 The Gems of Nice and the French Riviera is a guidebook for visitors who can take a tour in the top destinations of the region before leaving home. The multimedia ebook is packed with photographs, information about sights, tips, and videos that highlight unique activities or happenings. 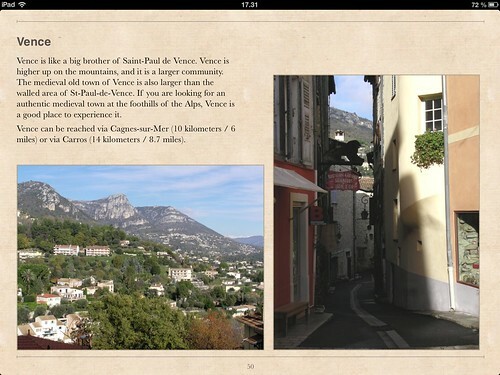 The multimedia guidebook is available for the Apple iPad. You can view or download sample pages, and find out more about the book here. 2013-09-28 by Klaava in France. Tags Cannes, Cote d'Azur, guidebook, Nice, Provence, Riviera, travel. If you think Savonlinna is a remote town today, think how remote it was in the middle ages when the King of Sweden decided to build a castle in the easternmost corner of his kingdom. Today, Savonlinna is part of Finland, and Olavinlinna castle is a popular tourist destination and above all, an annual destination for opera lovers. 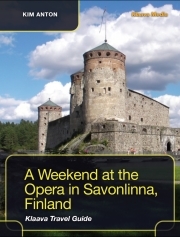 A Weekend at the Opera in Savonlinna, Finland book takes you to a visual tour in Savonlinna and the surrounding region. 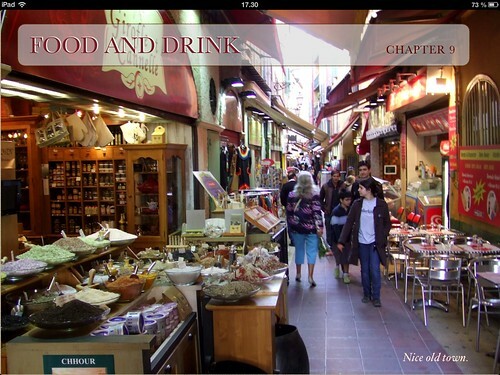 The multimedia ebook consists of photos, videos and practical information what to see and what to do at the destination. The book introduces the top must-see sights at the destination, activities available in the region, museums, art centers, nature attractions and many more things to do while not enjoying opera. 2013-06-07 by Klaava in Finland. Tags guidebook, Olavinlinna, Opera, Savonlinna, travel.